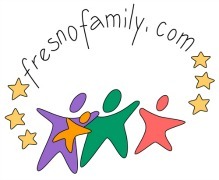 Before I share all the great links around the web that I have below, I want to first share the resources that I, the webmama FresnoFamily.com, personally have created for homeschoolers. I have been homeschooling my kids since the beginning. They’ve never not been homeschooled. Officially started “kindergarten” with my oldest the 2006/7 school year. Started kindergarten with my younger in 2010/11 school year. I just have the 2. Homeschool Realm–This is my homeschool blog I created years ago to share my journey in homeschooling, as well as lots of great resources I find along the way…Lots of great books and links! 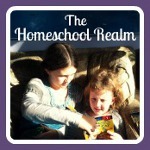 Savvy Homeschool Moms–This is a homeschool podcast I do with another local homeschool mom. Christian Home Educators of California (CHEA)-A non-profit ministry established in 1982 to provide information, support, and training to the home education community throughout the state. Homefires’ Homeschooling in CA Information-LOTS of info here! Very thorough! California HS Calendar–CHN’s Statewide Calendar of Events gives the latest on activities, field trips, & classes for all California homeschoolers. National Home Education Research Institute-A nonprofit 501(c)(3) research and educational organization whose mission is to: produce high-quality statistics, research, and technical reports on home education…serve as a clearinghouse of research for home educators, researchers, and policy makers…and educate the public concerning the findings of all research on home education. Just wanted to suggest a site for the resource links. VocabularySpellingCity is awesome. They offer spelling, vocabulary, and handwriting resources. This is a free site, but they do offer a premium feature. They have games, flashcards, video lessons, great teacher resources page, play, practice, review… They even just released a new app and have one more in the works for the iPad.